In early December, the better-burger chain Shake Shack partnered with Bark (progenitors of the popular dog-treat subscription service BarkBox) to offer an exclusive line of chew toys including Frenchie Fries, a Never-Melt Milkshake and—of course—a BarkBurger. “Perfect for your four-legged Shack fan,” the company promised. Now, two months later, it’s emerged that Shake Shack has gotten its paws on one other thing from Bark—a CMO. 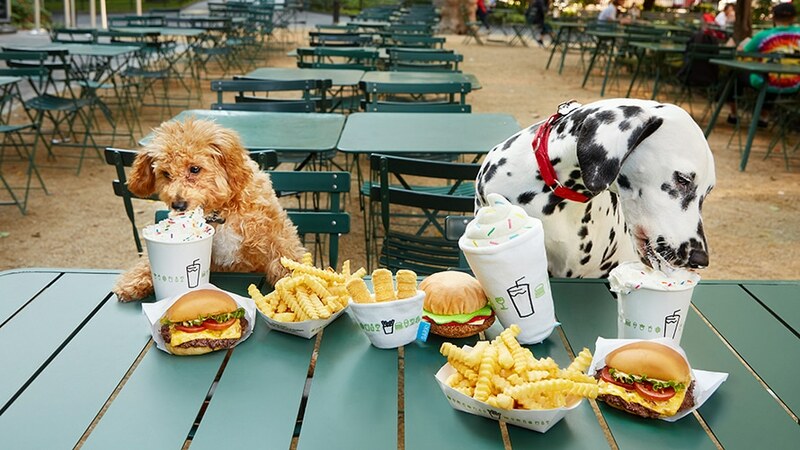 Jay Livingston, who’d been with the pup-centric brand since July of 2017, has accepted the post of chief marketer at Shake Shack. Shake Shack is already known for its dog-friendly eateries (which also feature dog menus). But to hear Livingston tell it, his move from one pup-affirming brand to another is no mere coincidence. In December, Shake Shack teamed up with Bark for an exclusive line of chew toys. Livingston has not yet developed specific marketing initiatives he can discuss, though he does expect to spend time analyzing customer data—very important presently, as Shake Shack is expanding and entering new markets quickly. He also plans to bring Shake Shack’s digital elements—its app, its digital delivery partners—more in line with the personalized service guests have come to expect from the restaurants, with the goal of having “a guest experience that’s deeper and more meaningful,” he said. Livingston’s talents will also be brought to bear on Shake Shack’s in-store ordering kiosks. In the fall of 2017, the company took a definitive step toward cashless operations by replacing human cashiers at one of its New York City locations with ordering-payment kiosks. But customer backlash led the company to revise its plans. Though the touchscreen kiosks were, by most accounts, pretty easy to use, Livingston said, “getting that kiosk experience right” will be a prominent item on his agenda. A big reason why Livingston hasn’t been able to formally kick off many of these initiatives yet is that he literally hasn’t had the time. For his first week on the job, Shake Shack sent him to work in the restaurants—first in Manhattan’s Herald Square unit, then over to Paramus, N.J.
Fortunately for Shake Shack, Livingston’s value won’t be realized working the fry station, but working a laptop instead, and looking for opportunities to boost Shake Shack’s visibility. As it turns out, just such an opportunity came last week when, following the Super Bowl halftime show, Maroon 5 frontman Adam Levine and his wife Behati Prinsloo pulled into a local Shake Shack for a bite to eat.